"As a nation eager for economic growth, the United States should be monitoring these approval times the same way it monitors other key economic indicators." 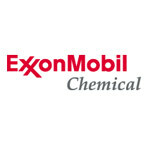 PHILADELPHIA--(BUSINESS WIRE)--Investments in petrochemical manufacturing and liquefied natural gas facilities must move ahead to make the most of U.S. shale resources, Steve Pryor, president of ExxonMobil Chemical Company, told attendees of the Shale Insight 2013 Conference today. In his remarks, Pryor noted that permit approval times are the leading indicators of how quickly the United States is capturing the benefits of shale energy. Pryor explained that global demand for ethylene, a key petrochemical, is growing more than 50 percent faster than natural gas. The market for LNG is growing even faster. “Since most of this demand growth is outside the United States, this presents an outstanding opportunity to boost America's exports,” he stated. ExxonMobil plans a multi-billion-dollar chemical expansion at its Baytown, Texas facility, already the nation’s largest integrated refining and chemical complex. The company is also part of a joint venture planning to build an LNG export facility in Texas. ExxonMobil estimates that its investments in these facilities will create 55,000 new direct and indirect jobs nationwide during construction and more than 12,000 permanent jobs once they become operational. Capital spending by U.S. chemical manufacturers has risen more than 40 percent over the last five years, and more is planned. The American Chemistry Council estimates that some 125 U.S. chemical capacity expansion projects that have been announced will contribute as much as $84 billion to the economy. Chemical manufacturing and other industrial sectors account for nearly 30 percent of U.S. natural gas demand, Pryor said. “Shale development has given the U.S. petrochemical industry a double benefit. In addition to using natural gas as an energy source, the industry uses ethane and other liquids from natural gas as a key raw material to make plastics and other essential products. This cost advantage has reversed the fortunes of the U.S. chemical industry,” said Pryor. Pryor noted that the total value of shipments from U.S. chemical manufacturers during the past two years hit an all-time high. The American Chemistry Council reports that chemicals are once again America’s single biggest export – larger than agriculture, automobiles and aerospace. Pryor said the United States is also poised to play a significant role in the global LNG market, which is expected to triple in size from 2010 to 2040. ExxonMobil estimates that LNG exports from North America, which were essentially zero in 2010, will increase to about 15 billion cubic feet per day in 2040.